This is important, of course, not only for the language exposure they can potentially provide, but, more fundamentally, for the fleeting chance to nurture a meaningful bond between grandparents and grandchildren. With this in mind, I arranged for us to take a family trip with my wife’s parents—my children’s Japanese grandparents—this past weekend. In this case, there was no benefit of extra input in the minority language, but that naturally wasn’t the motive: while my mother-in-law and father-in-law are both pretty spry for their early 80s (they can still easily ride bicycles! ), it’s also true that their health is now more fragile and it’s hard to know how many more trips like this we’ll be able to take with them. 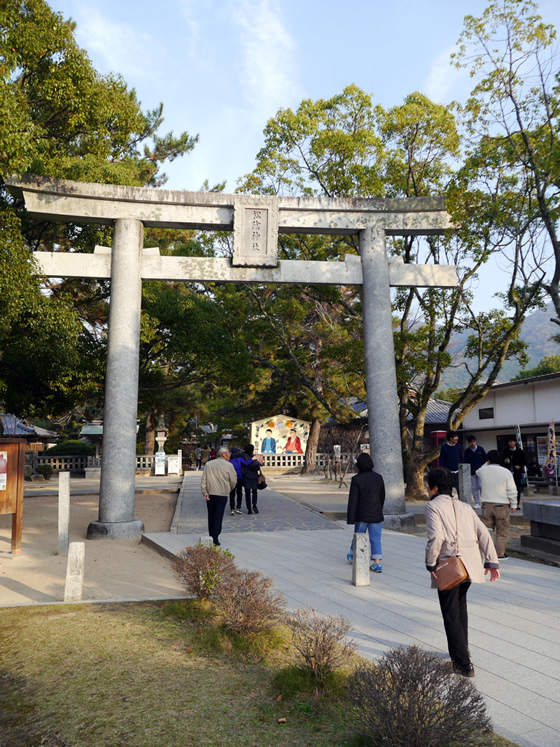 So we went to the lovely, peaceful town of Hagi, located on the Sea of Japan, about three hours by car from Hiroshima. 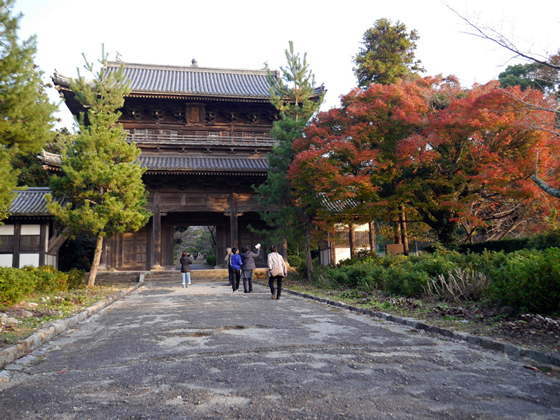 Hagi is an old castle town, remarkably well preserved and full of splendid sights. 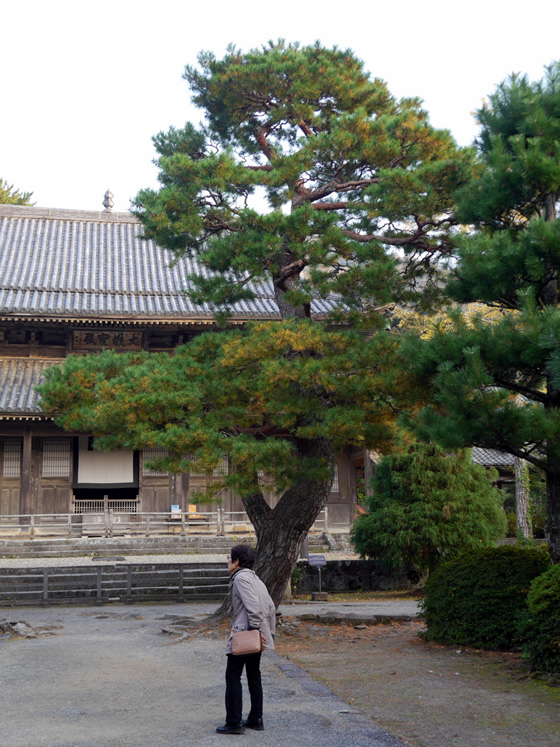 In fact, Hagi is truly one of my very favorite places, not only in Japan but in the world. 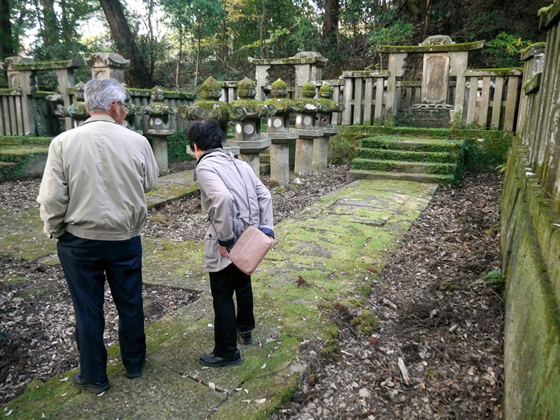 If you’ve been following this blog for a while, you may even recall that I shared our last trip to Hagi four years ago. 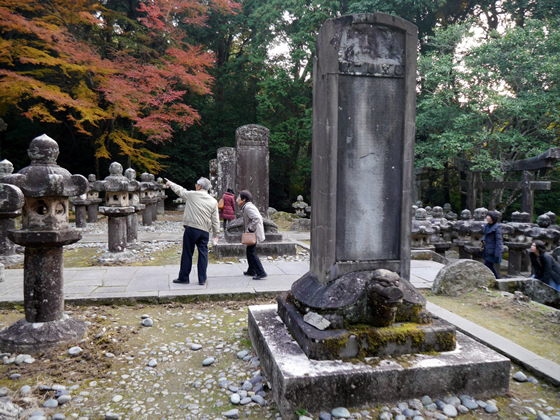 This post won’t include as much background about Hagi itself (so if you’re curious, please see that previous post) and, as always, I need to maintain everyone else’s privacy by not showing their faces too fully. Still, I’d like to invite you to join us, through photos, for a sense of our time together…and particularly, this memorable time my kids could spend with their grandparents. We first drove to an animal park called Safari Land. I have mixed feelings about such places (as I do about all zoos), but it’s still a captivating experience to drive your car through large enclosures of wild animals, where bears and tigers are roaming freely, even right up to your (closed!) windows. 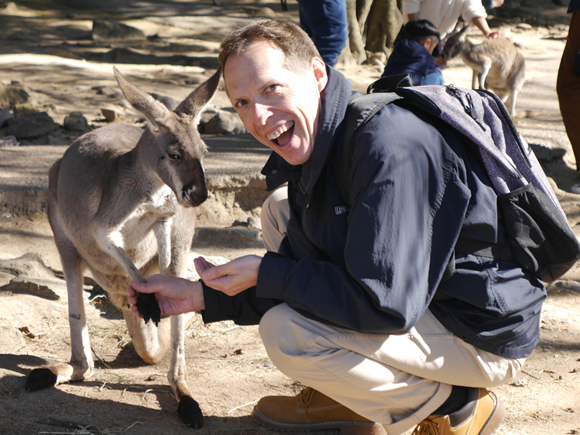 Then, after the drive-through portion of the park, there’s an area where you can mingle closely with less-fearsome creatures, like goats and ponies (and kangaroos). Oh yes, and I also kissed a giraffe there, too. 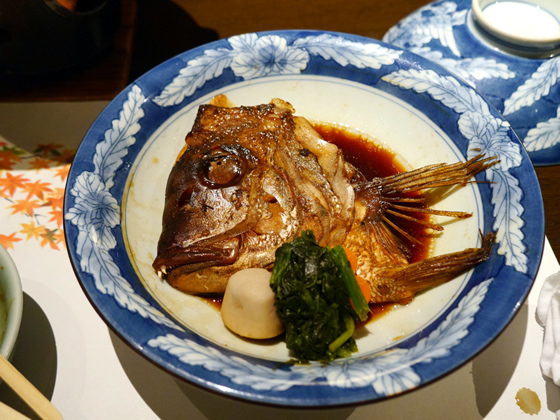 After Safari Land, we drove on to Hagi and checked into our hotel, which featured a variety of wonderful onsen (hot springs) baths and a fancy, multi-course dinner (including the fish head you’ll see below). Like llamas? 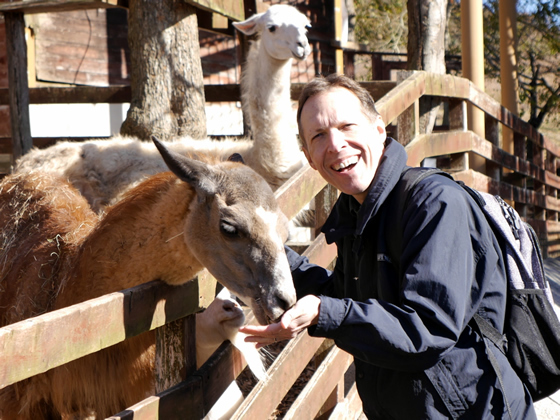 You’ll love my new novel, How I Lost My Ear, which features 144 (spitting) llamas! You’ll find it at Amazon and many more online booksellers. 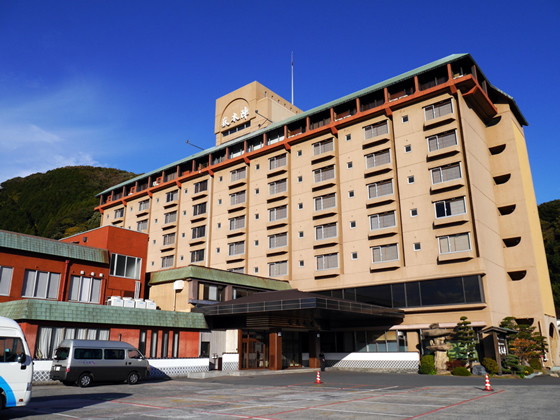 We stayed on the top floor of this hotel. 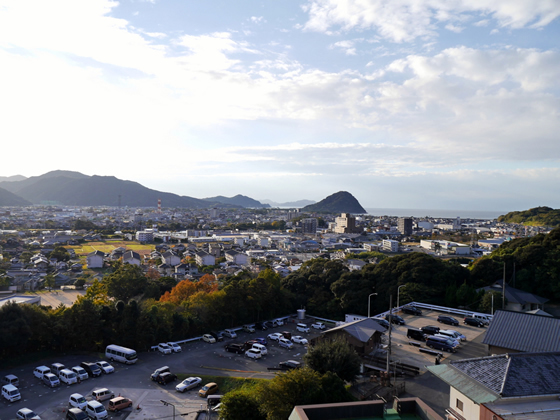 The view of Hagi from our room. Here’s the fish head I promised. 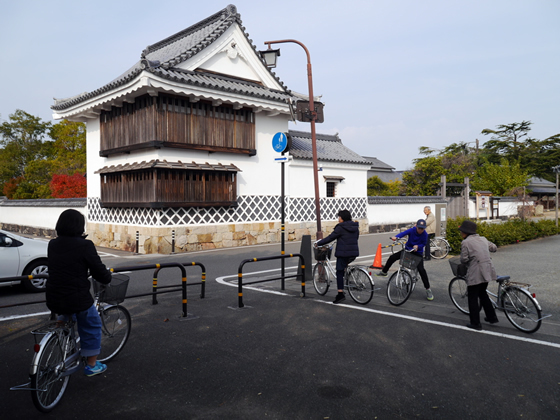 After a breakfast buffet at the hotel, we drove to the historical town center and rented bicycles. 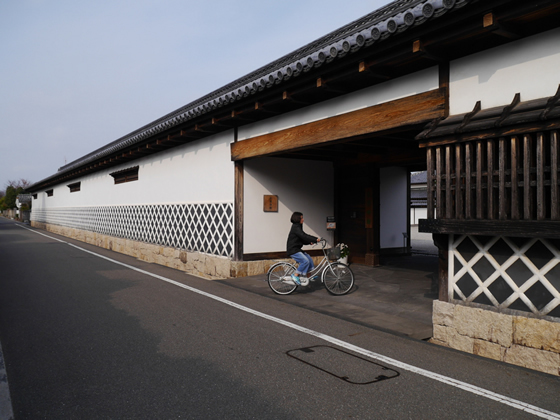 Hagi is a fairly compact place and riding a bike along its pretty streets is a perfect way to see the many sights: the old stone and mud walls; the traditional homes where samurai, merchants, and other prominent figures once lived; the castle ruins; the peaceful shrines and temples; the ancient pine trees; the hushed graveyards; and the many shops selling beautiful pottery (Hagi is also famous for its pottery). The day ended too soon, really, but as the sunlight faded, we climbed back into the car to begin the long drive home. 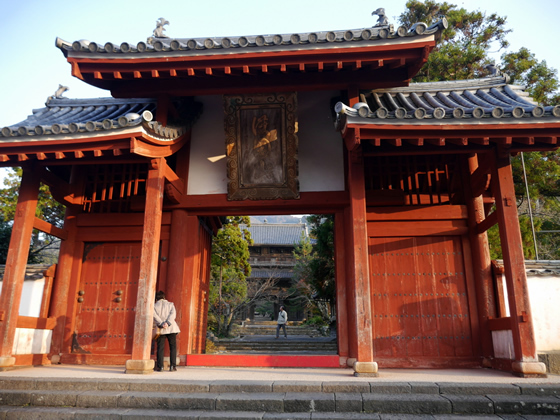 The entrance to a museum on Hagi’s interesting history. 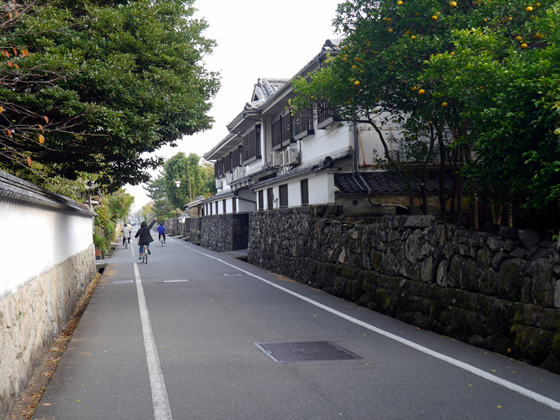 The streets of Hagi are not only lined with lovely old walls, but with trees of plump oranges, too. 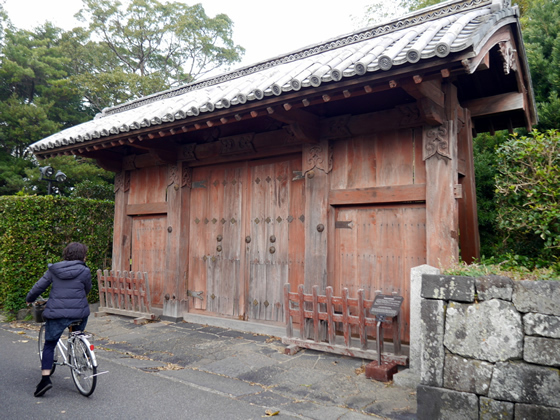 The old gate to a castle-town home. 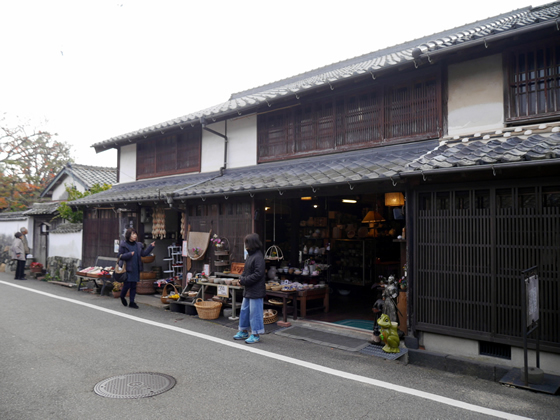 Browsing at a shop selling “Hagi-yaki” pottery. 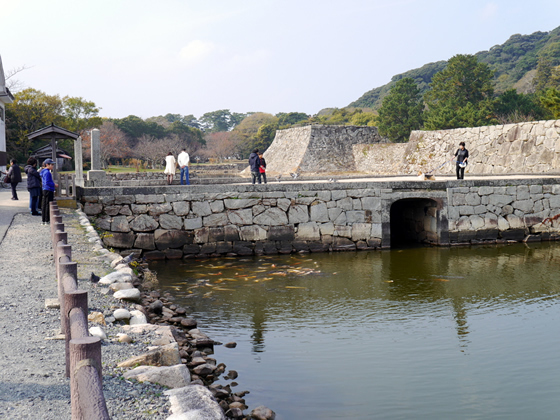 The ruins of Hagi Castle, with colorful carp swimming in the moat. 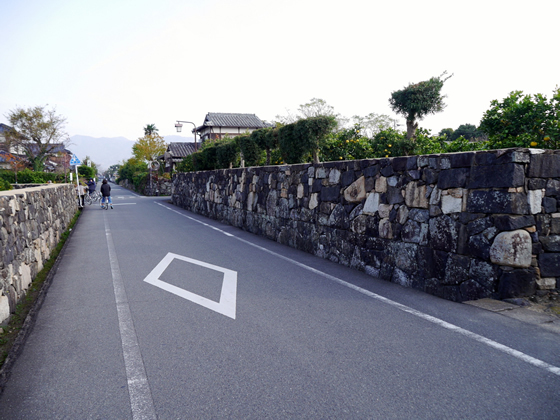 I love Hagi’s old stone walls, like massive works of art. 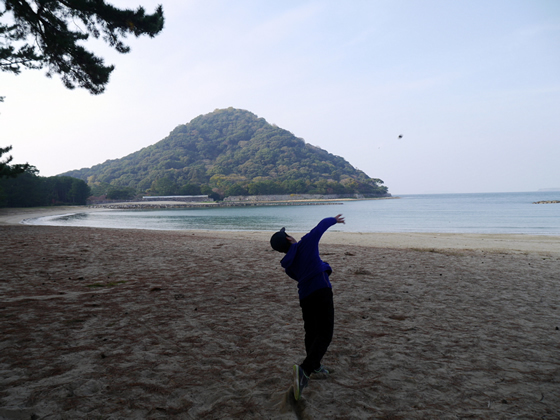 My son throws a pine cone toward the Sea of Japan. 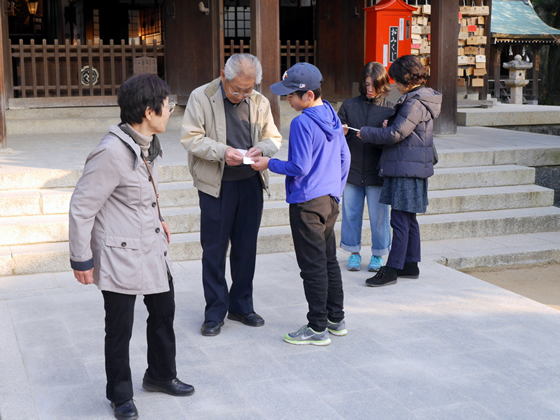 Reading the paper fortunes bought at the shrine. 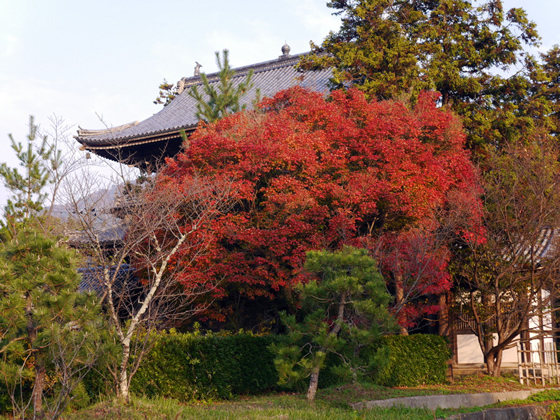 Some of the trees were still vivid with color. 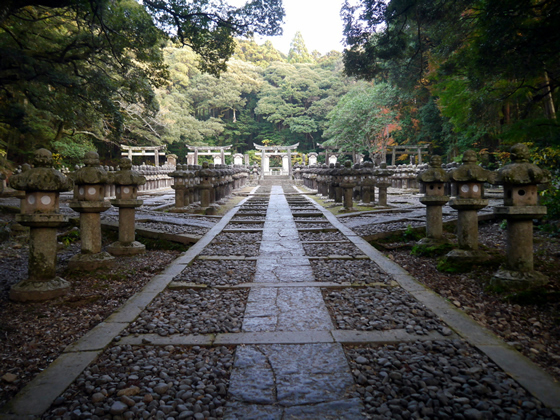 The entrance to an impressive Zen temple. 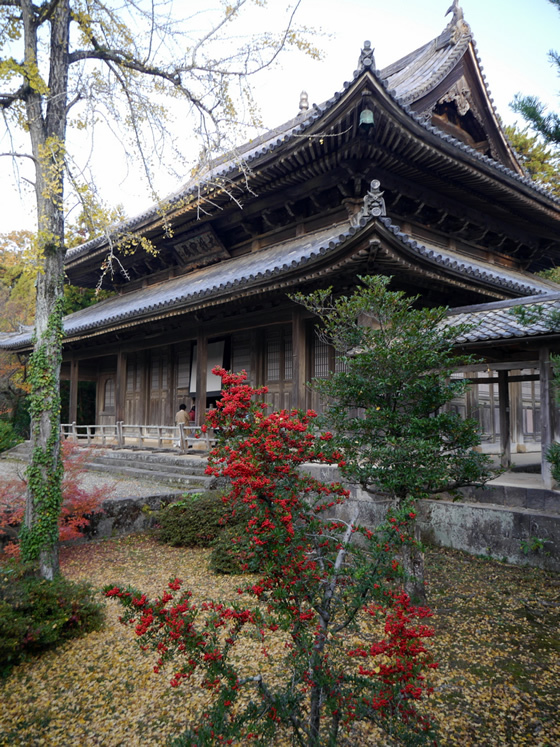 The temple grounds contain marvelous old wooden buildings. 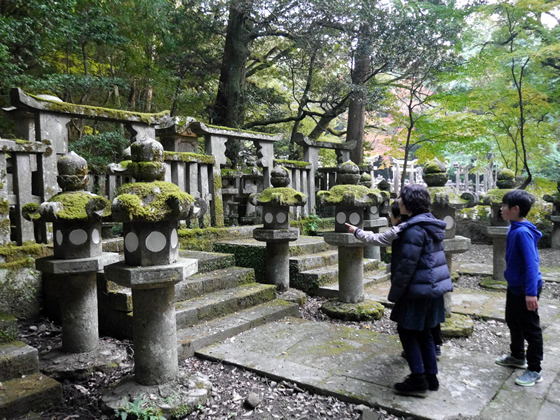 At the rear of the temple grounds is an astonishing sight: a graveyard that holds the tombs of feudal lords and their family members along with hundreds of stone lanterns, donated by their samurai retainers. 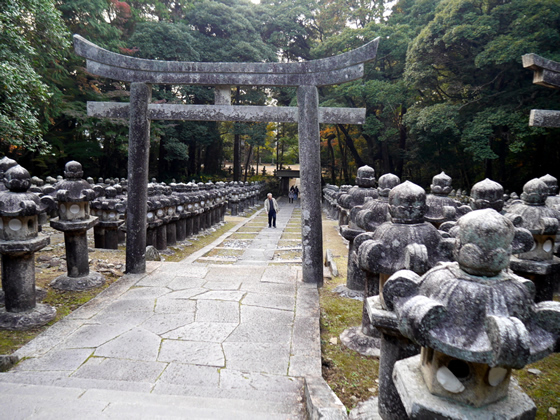 The grandfather approaches the huge stone tombs. 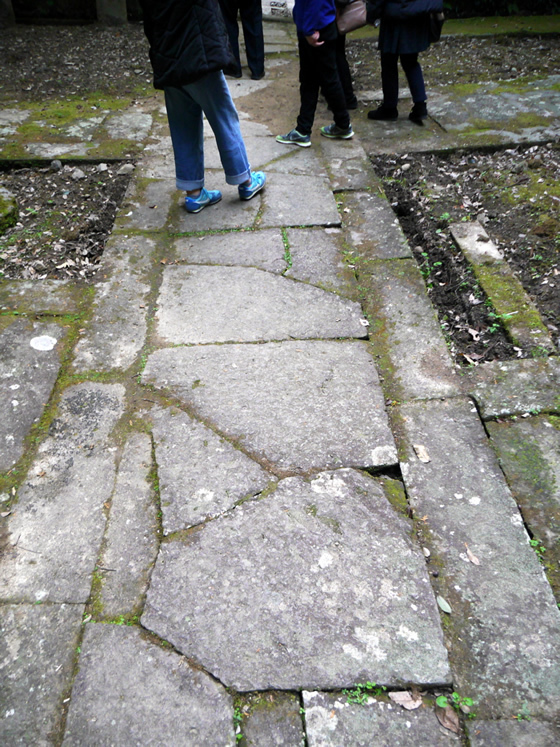 And points toward them at the back of the site. 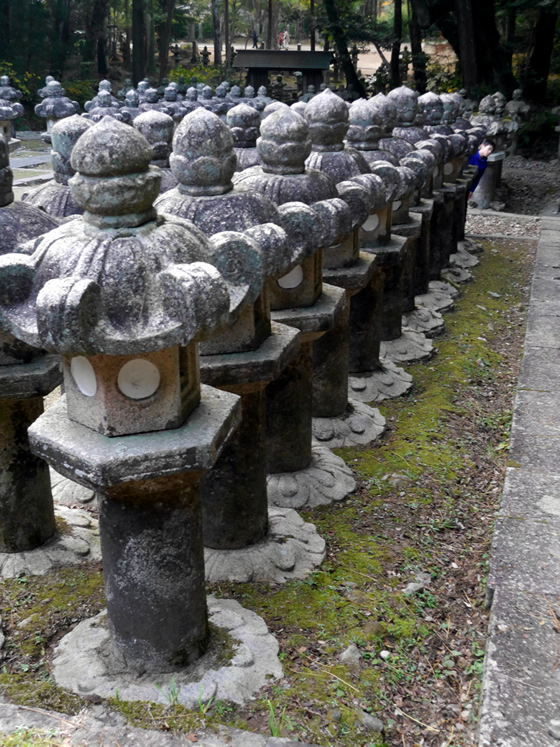 Spot someone hiding there at the end of this row of stone lanterns? 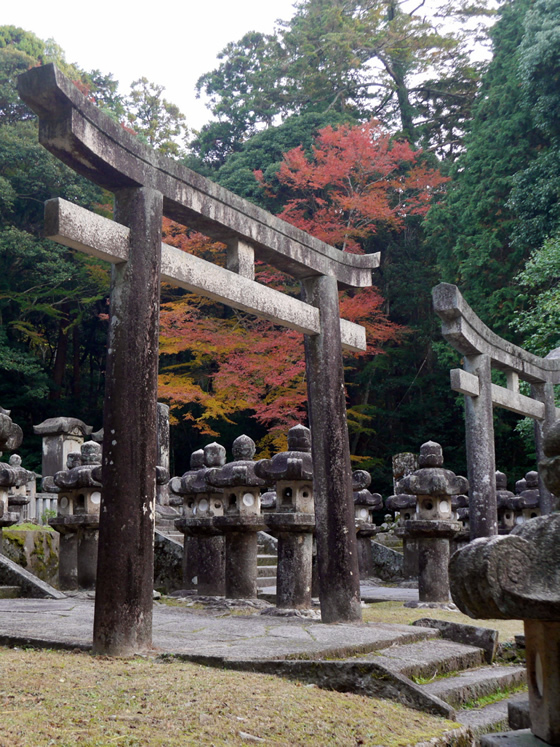 This place has a presence, an atmosphere both eerie and serene. 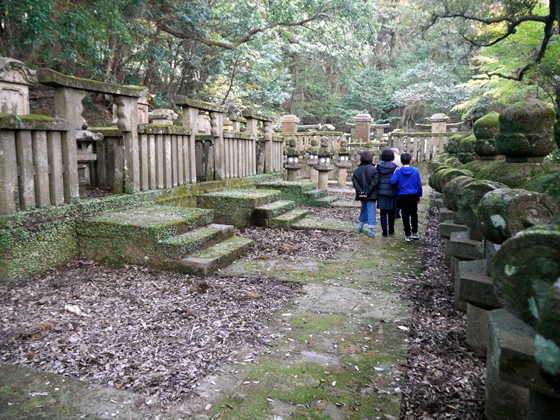 Children who died young (when children too-often died young) are buried in this section. Time and nature will eventually reclaim this site as it continues to crumble in slow-motion over the centuries to come. But we had this moment with the grandparents, now, and I’m grateful for that. 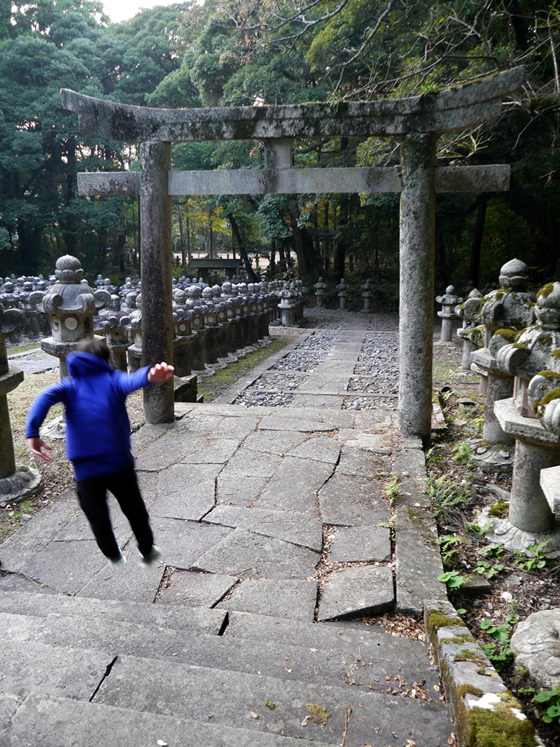 Farewell for now, dear Hagi. Previous post: Closing Sale at Bilingual Style! Shop Now for Christmas!